Abrasives Incorporated, with offices in North Dakota and Minnesota and distribution throughout the U.S. and Canada, manufactures Black Magic© Coal Slag and has for almost two decades. 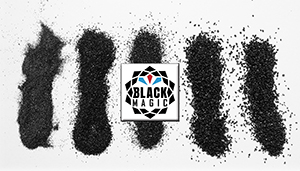 Made from lignite coal, which is only produced in a few places in the world, Black Magic© is more aggressive and consistently sized for industrial steel prep application. The products are safer for the environment and worker health, which is why world-leading steel prep companies are increasingly turning to Abrasives Inc. Abrasives Inc. is an employee-owned, one-stop-shop providing exceptional products, services and solutions to the surface preparation industry, delivering product where you need it, when you need it, saving customers time and adding profitability.